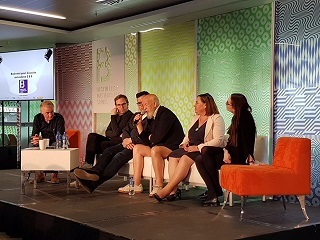 EventInsure were delighted to be in attendance at the 2018 Theatre Forum Conference which took place on 26th June in the beautiful backdrop of the Lyric Theatre in Belfast. 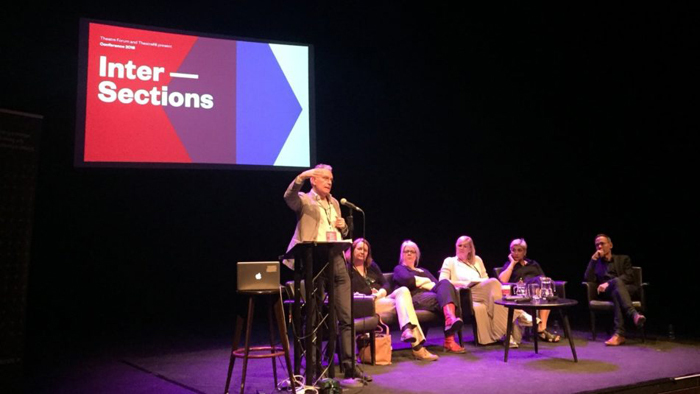 The successful event spanned two days and examined topics and issues faced by Theatre Forum members in todays challenging and every changing world. 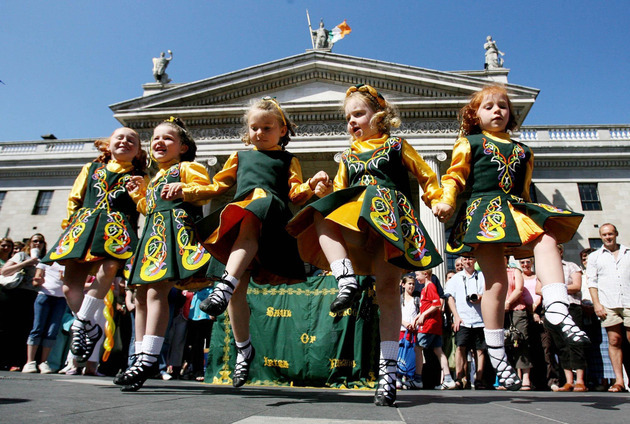 2018 promises to be a great year for Festivals and Events across Ireland due to a significant surge in visitor numbers to Ireland and the associated revenue generated from the sector. Visitor figures for 2018 are expected to rise by 10% up to 11.71 Million, setting a new record for the tourism industry. 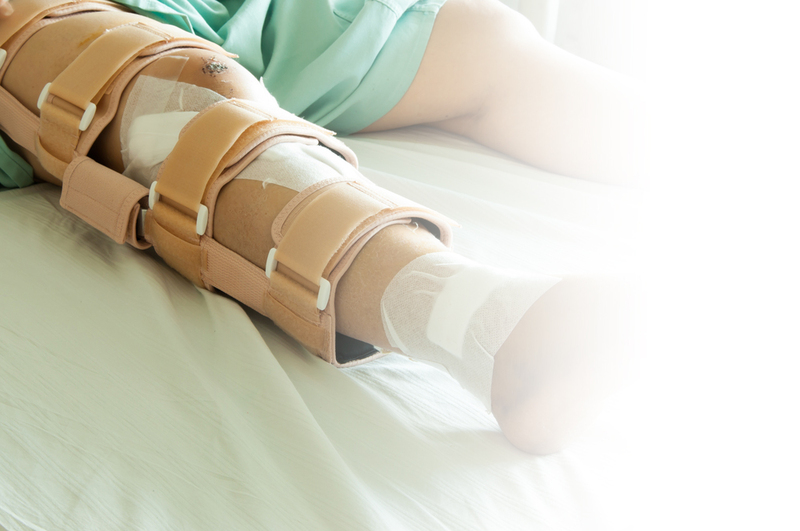 The Eventinsure scheme will now be underwritten by Allianz Global Corporate & Specialty SE, providing consumers with the financial security of Allianz the financial ratings it carries of AA (Standard & Poors) and A+ (AM Best). 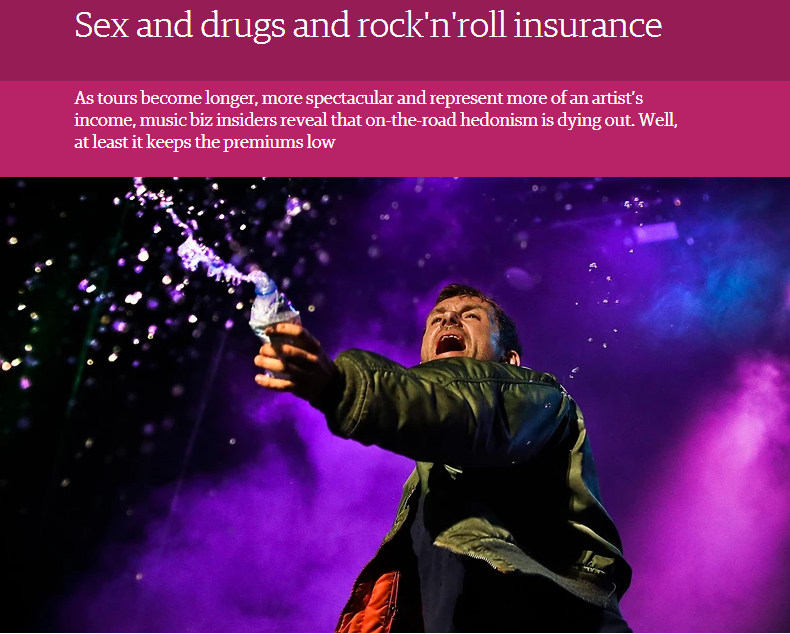 Their Entertainment division are global specialists in the field of film, entertainment and specialist leisure risks. Eventinsure was proud to be a key sponsor at the recent Best in Fest Masterclass held in the Aviva on 27th April 2017. The event brought together the best of the events industry with iconic global event organisers in attendance. 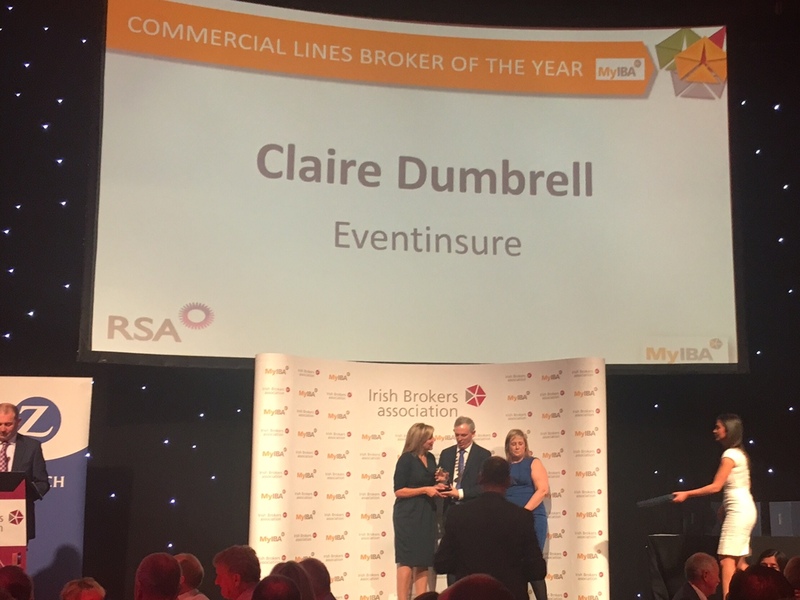 Claire Dumbrell, of Eventinsure & Brady Insurance has beaten off the competition winning “Commercial Broker of the Year” at the 2016 Irish Brokers Association MyIBA awards in the Mansion House in Dublin on the 20th October 2016. 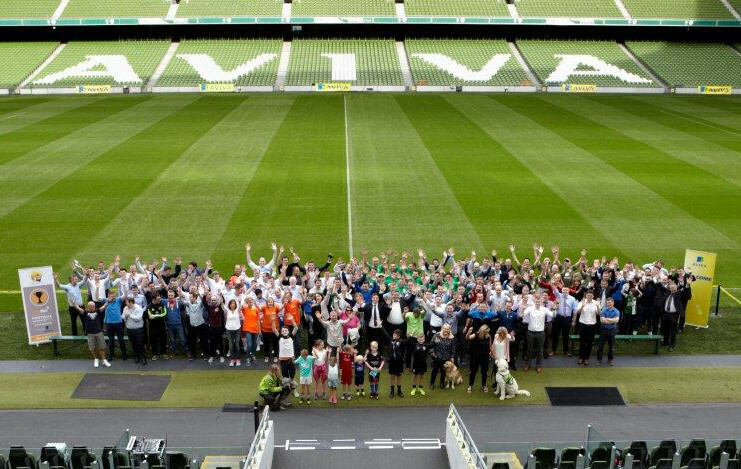 We were delighted to be a part of a recent soccer tournament in the Aviva Stadium this past week, hosted by MyIBA and sponsored by a number of insurers and brokers. 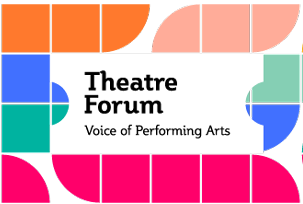 An exciting announcement today as Eventinsure become the preferred insurance partner to Theatre Forum & its members Theatre Forum are the voice of performing arts in Ireland and provide Information, Training, Support and Advocacy for their many members throughout Ireland. 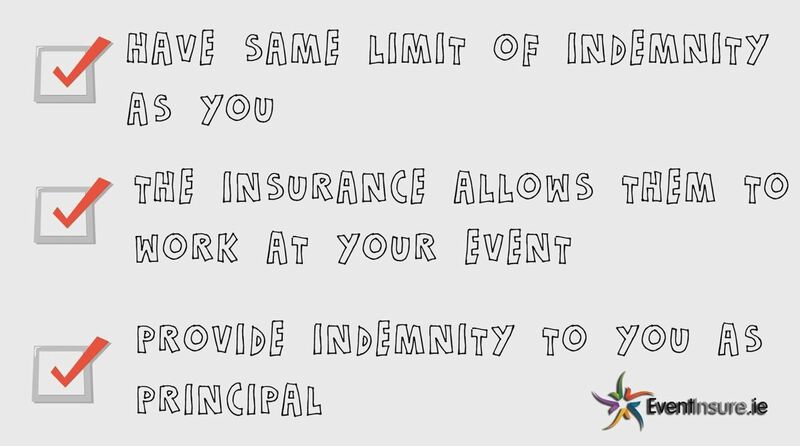 Watch our latest in the series of videos for some useful tips from eventinsure on how to ensure you submit the right information to underwriters and helpful advice in reducing risk and therefore reducing your premiums.